Taking advantage of GM’s unique CRC factory roller program, Patterson Racing built a 2014 COPO Camaro clone from the ground up and applied many of the tricks learned in Comp and Pro Stock to the 396ci naturally aspirated LS3-based engine. Why build a COPO engine to stock specs from scratch when such a powerplant is available as a crate engine from GM? To go faster, that’s why. To see just how much power can be gained from blueprinting, check out the dyno results at the end of the story! Here’s the finished COPO build from Patterson Racing ready to be installed in a Camaro CRC chassis. All photos courtesy Jack Regehr, Patterson Racing. Counterclockwise from left: The Chevy Performance block is anchored with ARP main studs. Prep work includes deburring all the rough edges and then boring out the cylinder to accept new Darton cast-iron sleeves, which were then bored .070-inch over to 4.135. The bottoms of the new liners also needed cleaning up. After line honing, the Clevite bearings were positioned and any rough edges were removed to ensure accurate torquing of the mains. 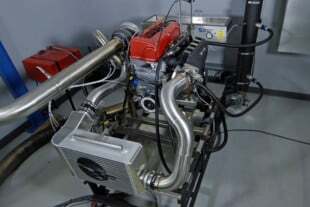 Engine-building rules under the NHRA Stock Eliminator are strict, so precise blueprinting and other assembly strategies are important to gain an edge on the competition. Patterson’s customer wanted to take up NHRA Stock Eliminator and run a 2014 COPO Camaro. Of course, GM builds only 69 COPO cars a year, and securing one of the limited-edition models is a tough if not expensive choice. Upwards of 2,000 potential buyers show interest in getting one of the production COPO cars, and they cost in the neighborhood of $110,000. However, there is another option: the Camaro Rolling Chassis program. New to the Patterson shop is a Rottler HP7A honing machine where Eric Finlay works with a diamond-cutting head in place of conventional abrasives for more consistent results. Torque plates are bolted in place with the Cometic gasket during the honing procedure. The exact honing pattern and speed can be programmed into the Rottler. Patterson uses a profilometer to measure the surface roughness of the finished hone pattern to ensure that it seats properly with the rings. Set up to serve grassroots drag racers, the CRC program provides the customer a rolling Gen V Camaro chassis set up identically to a COPO car but without the drivetrain. The car is fully painted, features a complete interior, boasts a race-ready fuel cell and 4-link rear suspension, and comes with a certified 8.50 rollcage. Cost is about $60,000. Customers then choose which engine and transmission they want for the car and finish the build. If the powertrain is built according to NHRA specs, the car is eligible for Stock Eliminator. The class depends on the weight and engine selection. For 2013, 20 CRC cars were offered. You may have seen one of the cars built on the Gas Monkey Garage television show. For 2014, 17 cars were built, and this #10 unit obtained by Patterson Racing is the only one painted Victory Red. Measurements are constantly made throughout the blueprinting process. Shown from left are checks on the main bearings, the deck height and the crankshaft journals. Top row: The engine is preassembled numerous times to check various specs. Note the NHRA-approved Diamond pistons. Bottom row: Here the piston depth below the deck is checked with two dials to ensure the piston top is level. The block did go the surfacing machine where the correct amount of metal was shaved off to ensure not only the proper piston depth but also a straight, level and smooth surface for correct sealing with the cylinder head. 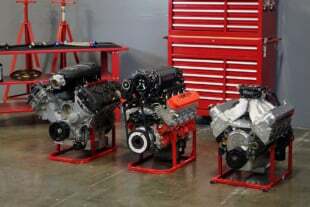 All factory COPO engines are built at the GM Performance Build Center, formerly at Wixom, Michigan, and now moving to Bowling Green, Kentucky. 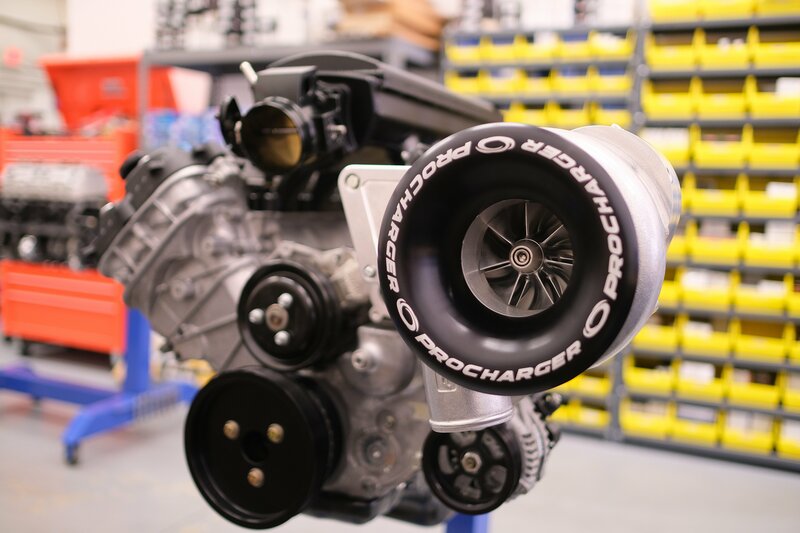 Four engines were offered in the 2014 COPO Camaro: LS7-based 427 (NHRA-rated 430 horsepower), LS3-based 350 (350 horsepower), LS3-based 396 (390 horsepower) and supercharged LSX/LS7-based 350 (530 horsepower). Patterson Racing leveraged its experience in Comp and Super Stock racing to build the 396ci naturally aspirated version and back it with a manual transmission. 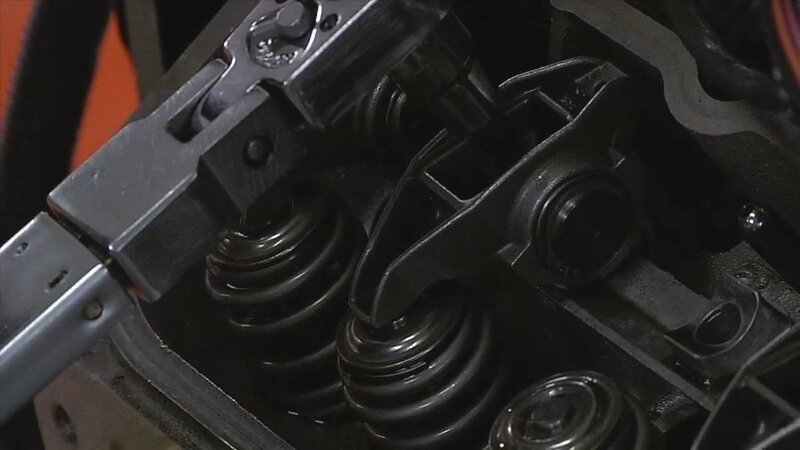 The heads are also preassembled with checker springs and adjustable pushrods to analyze rocker sweep across the valve and establish the proper length for the Trend pushrods. A check of the alignment for the Browell bellhousing revealed a slight off-center position in relation to the crankshaft. Eldon Clark, center, installs offset dowels to correct the alignment. 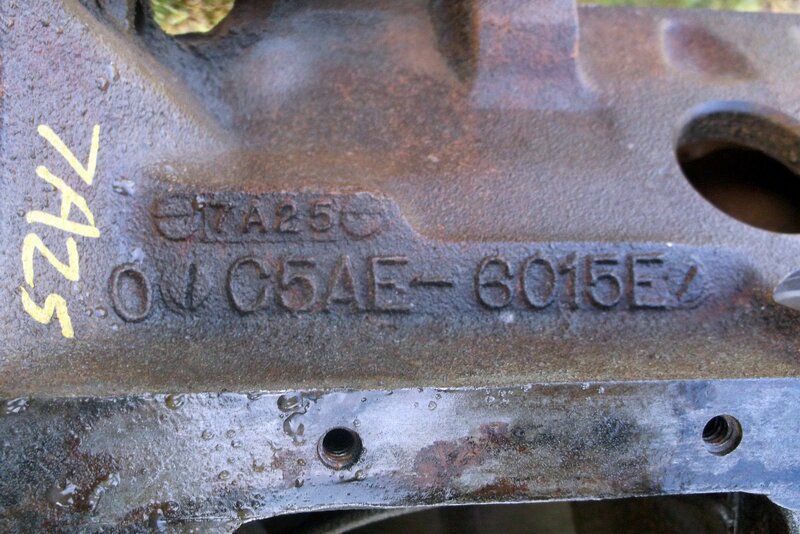 Patterson also checked the clearances for its own oil pump. The block is thoroughly cleaned and all the oil passages are brushed and blown out to clear debris. The ARP studs are lubricated and installed. The slightly stroked GM crank stands ready. The 396 starts out with an aluminum LS3 block that Patterson cleans, deburrs and bores out to accept Darton iron sleeves. New to the Patterson shop is a Rottler HP7A honing machine that uses diamond cutters in place of traditional abrasive stones. It also features a water-based coolant to keep the cylinder surface temperature down and help prevent warping the metal. 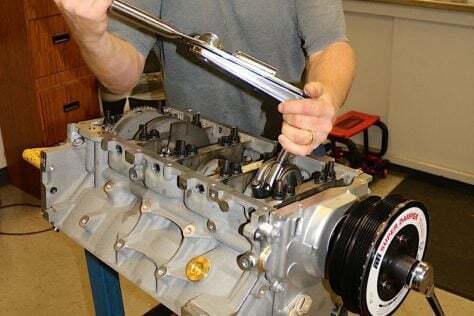 The factory COPO engine uses a 3.825-inch stroke Callies 5140 Compstar crankshaft, 6.200-inch long Callies 4340 H-beam Ultra rods and Mahle forged 4032 coated flat-top pistons. Patterson stayed with the Callies gear but switched to NHRA-approved Diamond pistons and Total Seal rings. The NHRA allows an extra .015-inch on the crank stroke, so Patterson index grinds the crank for a 3.838-inch stroke, giving the engine a total displacement of 415ci. The crankshaft cannot be reshaped or lightened; however, some technology is allowed in getting past the required piston design. The cam bearings and camshaft are installed followed by the main bearings and crankshaft. 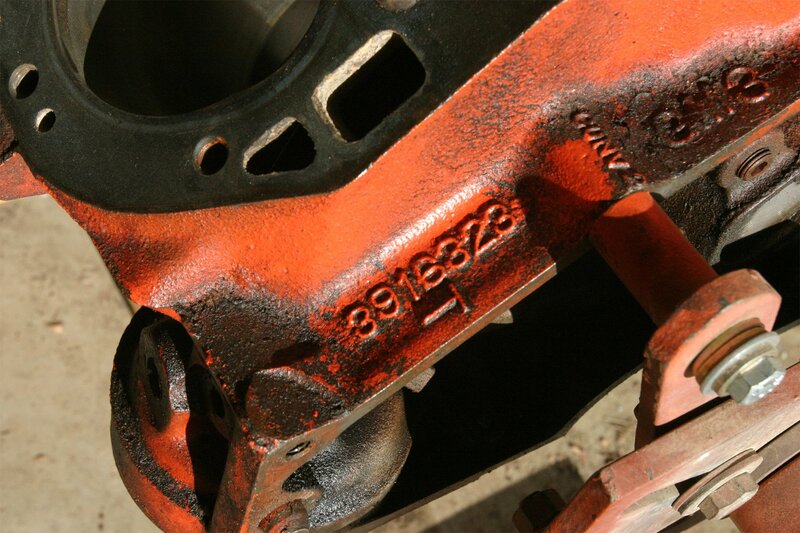 Mains are torqued to the following: inner 60 ft-lb, outer 50 ft-lb, side 20 ft-lb. ARP moly was used for lubrication. The Callies rods and Diamond pistons are ready for pre-assembly. Patterson notes the difference in clearances between each rod journal. The numbers are in ten-thousandths of an inch. Patterson called on Total Seal for .027-inch top and second rings that are held in place with an .016-inch groove spacer. The top spacer is also cut with eight side gas ports while the second spacer is there just to take up width in the groove. 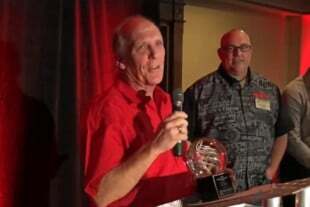 “This is where some of the Pro Stock and Comp Eliminator technology funnels over,” says Patterson. 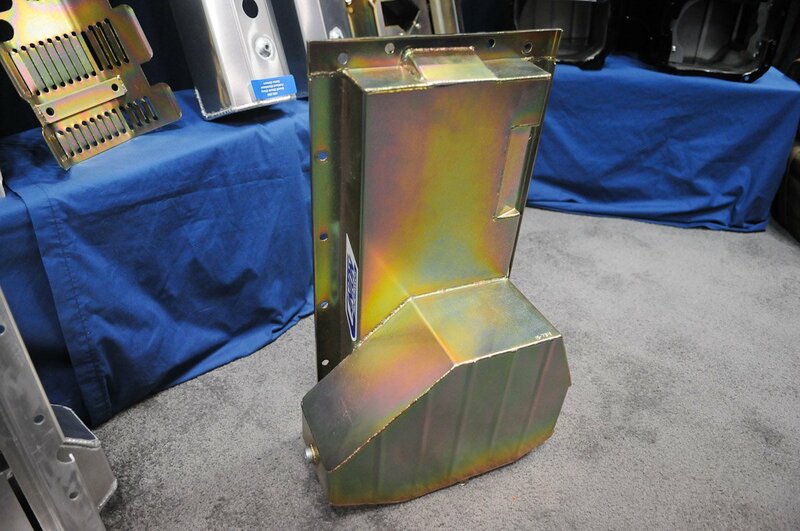 Lubrication is handled with a Patterson Racing Products LS oil pump and NHRA-approved 5-quart Stef’s oil pan. Rounding out the short block are a custom Bullet camshaft, Cloyes timing set, Clevite bearings, ARP fasteners, ATI damper, Meziere water pump and Cometic MLS head gaskets. Setting the gap on the thin Total Seal rings is a tedious but necessary step. The overall weight of the piston, pin, rod and ring assembly must fall within NHRA specs. The pistons are installed and the connecting rods torqued 75 ft-lb using CMD extreme-pressure lube. Following installation of the ATI damper, Patterson Racing installs a timing pointer so that the ignition advance can be double checked with timing light, should there be a problem with the reluctor. Engine builder Brian Lewis installs the GM windage tray followed by a Stef's extra-large pickup and 5-quart pan. Not much can be done to the LS3 cylinder heads except a high-end 5-angle valve job. Once the heads are installed and torqued to 65 ft-lb, the valvetrain is installed and clearances set. The LS3 cylinder heads must be run as cast with the exception of any valve job. The intake ports are set at 265cc and the exhaust ports are at 88cc. Minimum combustion chamber volume is 68cc. Stock compression ratio is 10.4:1, so Patterson will run as close as possible to the allowable specs. 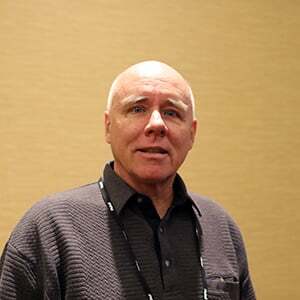 “It’s a pretty good head right out of the box,” says Patterson. “Small-block guys 30 years ago would have killed to have 2.165 and 1.590 valves. The heads are assembled with PAC springs and GM 1.7:1 LS9 rockers along with the GM stainless-steel valves and Trend 3/8-inch pushrods. Because the cylinder head surface had to be shaved slightly to bring the combustion chambers to spec, the mounting holes on the Holley intake had to be elongated slightly before installation. Time for finishing touches like the GM injectors, Holley fuel rails, GM 95mm throttle body, MSD coil packs and Meziere electric water pump. The engine is pre-lubed with Driven BR30 and checked for proper oil distribution. Spark plugs are installed and other engine details are finalized before heading to the dyno. Topping off the engine are a Holley Hi-Ram intake, Holley fuel rails, GM 43-pound injectors and MSD coil packs. The engine carries well over 500 pound-feet of torque from the test start at 5,300 rpm all the way through 7,400 rpm; the power peak is at 7,100 rpm with 710.7 horsepower. Careful checking of tolerances is addressed to the exterior of the engine. Bellhousing alignment was found to be a few thou off, so offset dowels were required. GM rates the 396ci COPO engine at 390 horspower. In NHRA legal trim and still running on break-in oil, the Patterson engine pulled 710 horsepower at 7,100 rpm on the Superflow dyno. Even at 7,800 rpm, it was down only 10 horsepower from peak. Torque as measured at 577 lb-ft at 6,100 rpm. Note the individual O2 sensors for each cylinder. The engine is installed in the CRC Camaro and all the fluid and electrical lines hooked up. Note that 2014 cars are allowed to use a forced fresh-air box that routes air directly from the grille to the throttle body. The 2-inch diameter, 30-inch long headers are specific to the COPO Camaro. Patterson will install O2 bungs for each tube for testing on the SuperFlow dyno with the Holley HP ECU and Sunoco Supreme 112-octane fuel. After the engine was installed along with a G-Force 5R transmission, the Camaro was taken to Tulsa Raceway Park for shakedown runs in FS/E trim, which has an index of 11.20 and a weight with driver at 3,360 pounds. With Patterson behind the wheel, the first full pass resulted in a 9.52. “This car has the potential to be bad fast,” sums up Patterson.